I sat in my temporary bedroom, longing for a flower. A real flower from dry land, one with big beautiful petals and bright colors. A flower would make everything better, I thought to myself, a flower or better yet, Leon. Picasso dozed on my lap, looking content. The poor little guy has stayed locked up in my room each day since arriving at the MerCouncil and I’m afraid I’ve had too much on my mind to play with him in the evenings. We were perched on a small stone bench next to the window in my room. I’ve come to love this little corner. It’s where I go to be alone and think. Now I was thinking about Leon. I leaned my head against the cold sheet of transparent diamond that covered my window and stared outside. My long fingers drummed against my silver shimmering scales, a different color flashing and then disappearing after each fingertip tapped. I had only recently discovered this lovely new talent of mine. It would have been more exciting if I’d had anyone to share it with. As my gaze slipped down to my fingers and the sleeping fish on my lap, I thought back to when Leon and I met. I smiled and closed my eyes. It was Picasso who had brought us together, really. A few months after Picasso and I were introduced, my funny little fish friend, who I’d become quite attached to, went looking for adventure and didn’t return. I cried myself sick the first night after he disappeared and my parents had everyone in the palace out looking for him. On the third day of my miserable loneliness, I awoke to hear a tapping on my window. Drowsily, I rubbed the sleep out of my eyes and carefully drifted to the window to peer outside. My eyes nearly popped out of my skull when I saw my beautiful Picasso, grinning in his fishy way. I screeched and shot out of the palace doors. There he was, held in the arms of my very own valiant knight. But it was only when I had Picasso safely in my arms that I realized just how valiant and handsome my knight really was. At the time, he was only about 13, a year older than myself and still a young merman. But I saw him as my own personal knight, just the same. When I introduced Leon to my parents they were so appreciative, they all but made his knighthood official and they insisted he was welcome at the castle any time. After that we were inseparable. We spent all the time we could together, getting into trouble, painting, playing games and making up our own, teasing each other or our siblings and just being best friends. Leon was a constant part of our lives in the castle. He would make the most ingenious little trinkets for my siblings and me–shellfish horns, seaweed lassos. My little sisters especially loved the sparkling hair combs he created, encrusted with beautiful shells. When Leon could extract himself from my little sisters’ clinging hands, he’d throw the conch shell extra hard so my little brother, Marius would chase after it and give us enough time for our getaway. Leon would grab my hand and whisper, “Ready?” before taking off. We’d swim as fast as we could to our small coral reef where we would finally collapse and silently hide for a while to make sure no one had followed us. The quiet never seemed to bother either of us. I think those were the best conversations we ever had, the silent ones, communicating with our eyes while hiding from the world. We named our hiding place Rainbow Reef and over time I colored so many different shades of coral and fish and plants that it came to truly match its name. Over the last few years, though, things between us have somehow changed. 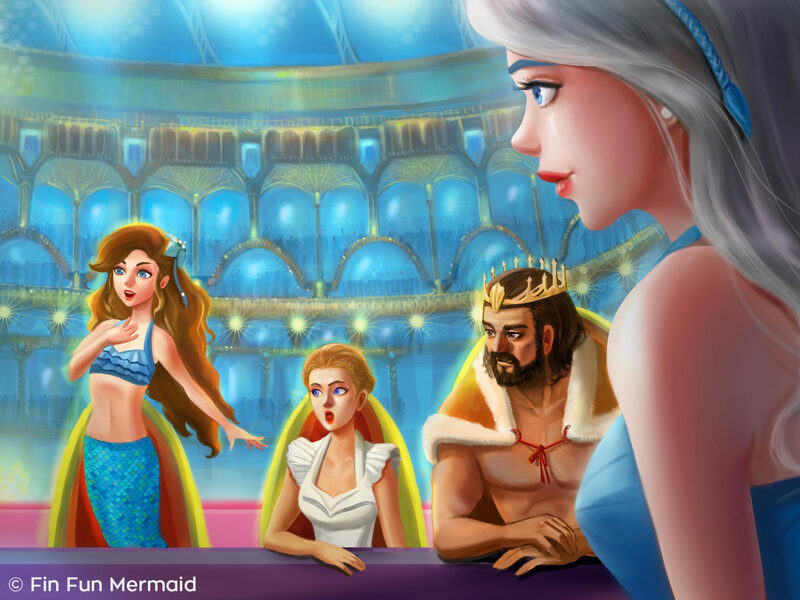 When I turned sixteen I started training for my future role as Queen of the Mediterranean Sea. My training schedule has left me very little time for anything else. Now, I’m 17 and Leon is 18 and apprenticed to his father, Trenton, who is a blacksmith. In past generations, during times of war, a blacksmith would be kept very busy making tridents and blades. Trenton’s own grandfather had been the main supplier of armor and weaponry for our kingdom and some of the others during the war with the humans. 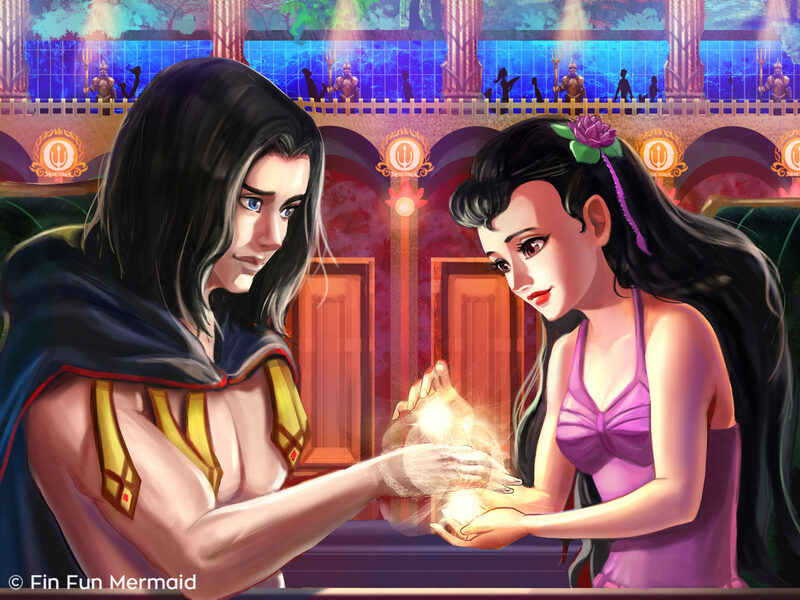 Leon’s family has always been high ranking and honorable merfolk; the best blacksmiths you could find. In more recent, peaceful times blacksmiths still make weapons, but the business has evolved to include more utilitarian and even artistic works such as gates, tools and sculptures. With so many responsibilities and our changing roles in life, Leon and I have seemed more like strangers lately than the close friends we were in childhood. In some ways, it’s sad—like I’ve lost him—but in other ways it’s exciting. 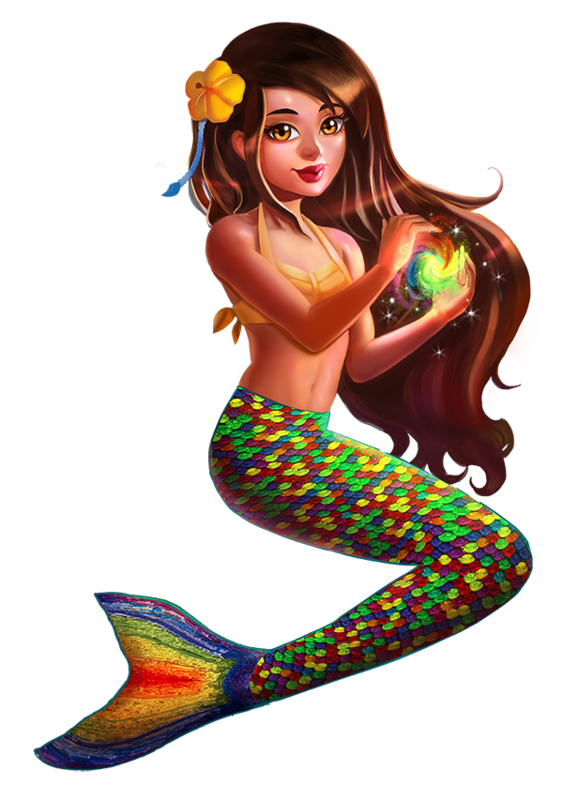 It feels almost new–like we are slowly getting to know the merpeople we are becoming. Picasso stirred on my lap and I opened my eyes with a twinge of regret that I couldn’t hold on to the memories longer. My gaze fell directly onto my tail. A shriek escaped my lips before I could comprehend what I was looking at. The shimmering silver of my tail had disappeared. 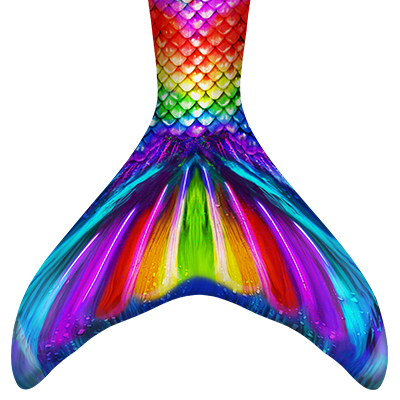 In its place was a brilliant rainbow tail, each scale a different rich color. I shrieked again and slipped off the ledge I’d been sitting on, dashing towards the full length looking glass on the wall. I heard the door to my bedroom shoot open and I knew my parents hovered in the doorway. I heard gasps but I didn’t look over. I continued to stare at my reflection. My tail was rainbow. It didn’t shimmer any longer. My silver scales were gone. 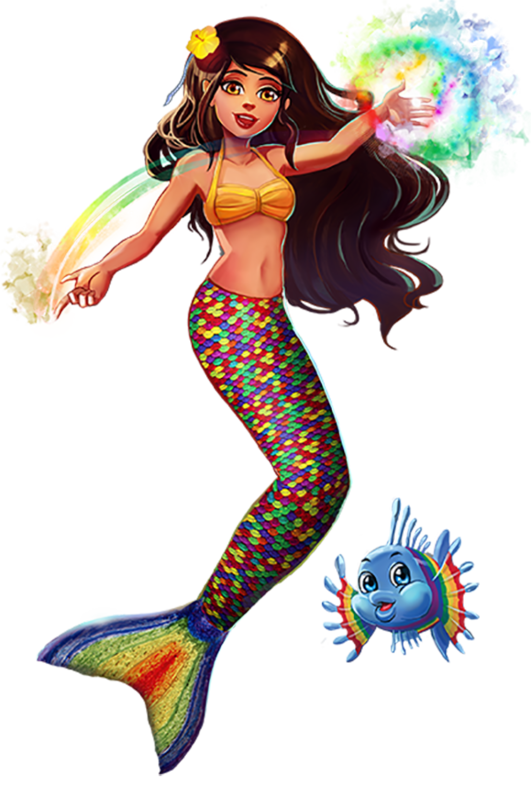 Serena lives in the Mediterranean Sea, where she and her best FinFriend, a rainbow fish named Picasso, enjoy creating beautiful works of underwater art with her royal Mermaiden power to change the color of anything she sees–including her own mermaid tail! 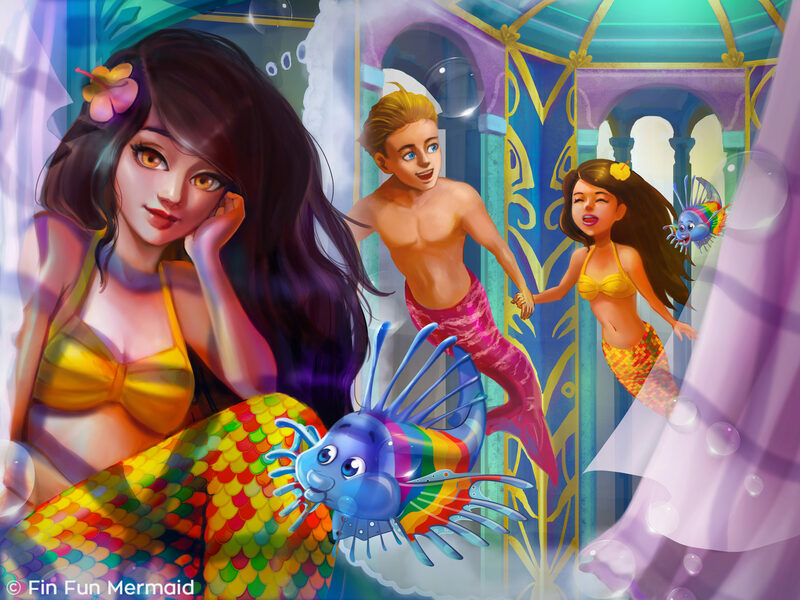 i wish for a mermaid tale. tell me how to get one? i want to be a mermaid. 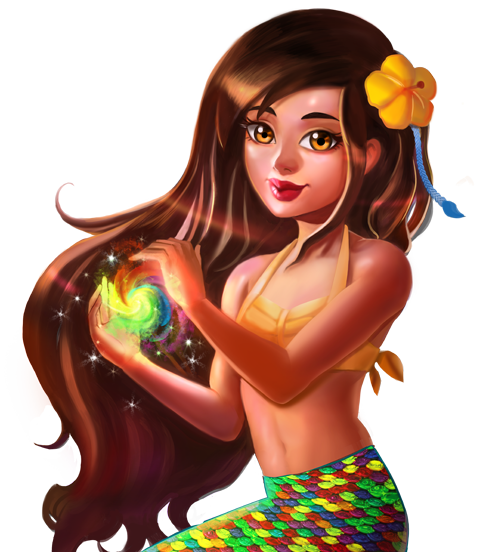 and i want to know what a mermaid tale looks like. can you tell me? i don’t understand how serenas tail is silver but looks so COLORFUL! can you make another red one!! it is me Serena-E . I have been warned the mermaid tail. I just need to get the black bit of the mermaid tail.